I recently conducted an interview with artist Jovencio de la Paz for MAKE Literary Magazine. He spent several years in Chicago, as both a student and an instructor at the School of the Art Institute of Chicago, and now lives in Eugene, OR, where he teaches Art at the University of Oregon. As an immigrant to the U.S., he is interested in the Batik method of dying textiles with natural indigo, as is common in Southeast Asia. He is also cofounder of Craft Mystery Cult, which he started along with some fellow classmates at Cranbrook Academy of Art. 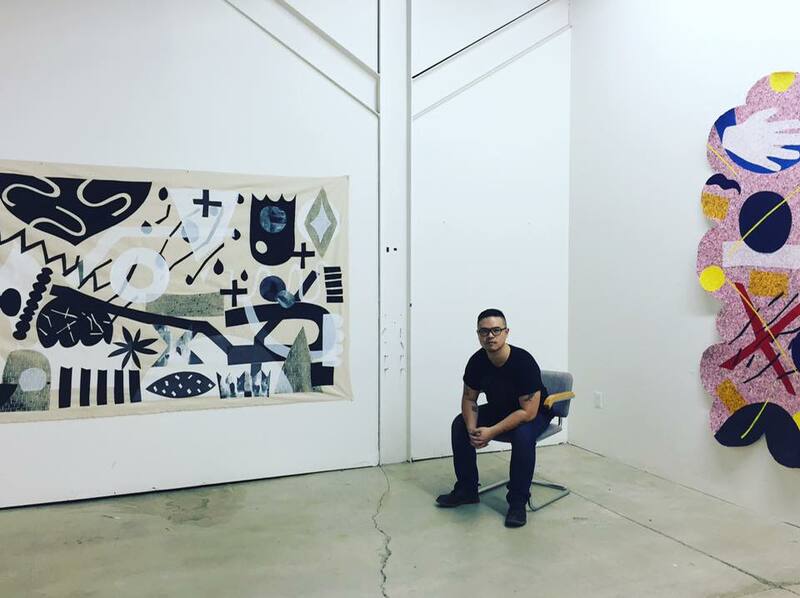 As part of my internship for MAKE Literary Magazine this summer, I had the pleasure of interviewing L.A. artist, John Knuth. We talked about the process behind his famous fly paintings, in which flies defecate on a canvas, resulting in beautiful colorful, abstract paintings. We also discussed his smoke-flare paintings, what has influenced him as an artist, and his love for Chicago.